As leaders, teachers, counselors, and pastors we try hard to make sure that those we serve are prepared to receive Jesus into their life when the Holy Spirit moves. We preach, lead bible studies, tell stories, pray, share bible verses, use object lessons and illustrations, pictures, videos, on and on. We attend seminars, read books, and get degrees to learn how to better lead others to Jesus. There are as many methods of ministry as there are people to lead them. The effort and brain power that has been dedicated to improving methods of soul winning over the past two millennia are mind boggling when you stop to think about it! What about physical preparation? The outdoors are physically demanding. In outdoor ministry we may rely on nature to augment our methods of soul winning. We must also be mindful that our participants are prepared for outdoor excursions. Many individuals have their first significant experience with the outdoors through outdoor ministry. So helping them prepare is necessary. Nature is designed to lead us to Jesus. We want to cultivate a life-long connection with nature in our participants. Ensuring their first few experiences are positive is key. Here are 10 points to help ensure participants have the best experience possible! 1. Safety is central to everything done outdoors. Discuss this with participants multiple times before even arriving in nature. Instruct them on specific safety guidelines (such as staying away from cliff edges and what to do if lost). Remind them immediately prior to engaging in dangerous activities and terrain. Positively reinforce participants who follow the safety guidelines in front of other participants. 2. Practice proper prior planning. The emphases is on prior. Educate yourself, staff, and participants on dangers likely to be encountered. Know the dangerous flora and fauna in the area. Know the weather conditions. Know what you’re going to do in dangerous situations. Have an emergency plan. Educate participants on all of these things. Also, prior planning helps to ensure you as the leader do not forget anything. 3. Ease participants into extremes. This is not always possible, but it is a good rule of thumb. For example, don’t stick a non-athletic kid on a 5.11 climbing route for his first time. Take city dwellers glamping (glorified camping, i.e. car camping) before taking them on a multi-day backcountry trip. Educate on how to answer natures call outdoors and maintain good hygiene. Help ease participants beyond their comfort zone. It's common sense, plus it will help foster a life-long interest in nature! 4. Review the gear list. Its important to make sure you double check everything is packed. It is twice as important for newbies. Pass out a list and make sure participants understand it. 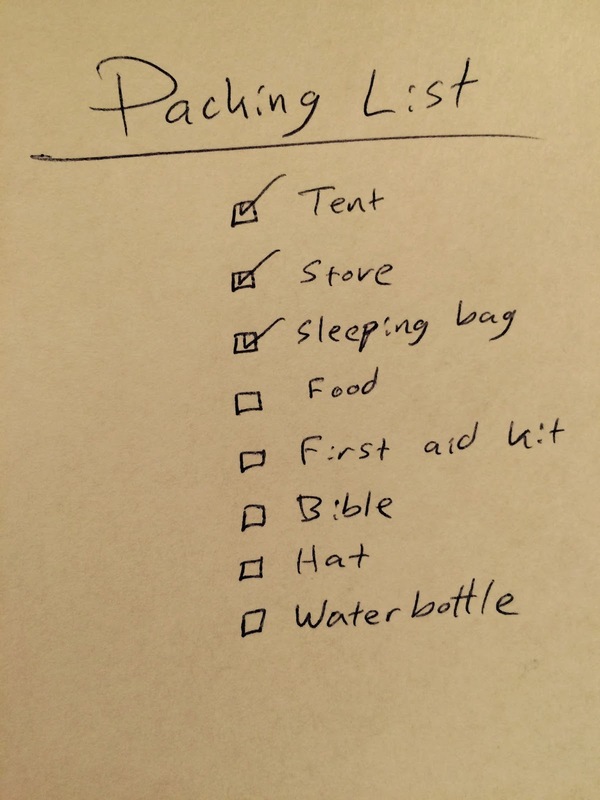 If they bring their own gear, go through it with them prior to the trip to ensure they have what they need! This will also ensure they don’t bring too much and slow the group down or have a miserable experience. New participants have a tendency to pack WAY too much. 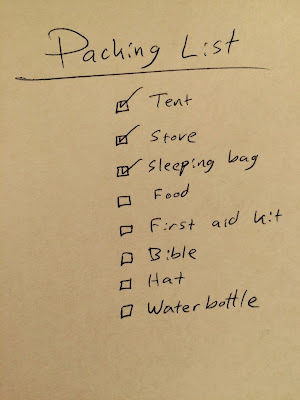 I like to reread the packing list aloud to the group just prior to departure. 5. Everyone knows the route. Before embarking on any outing, make sure every participant knows the route/destination. It is important that each staff member know the route and all destinations. But experts advise that every single participant should have a map and compass and know how to use them. They should be kept appraised of the location at all times. This may mean teaching skills. That might seem like a waste of time but it is not. Besides, every person loves it when they can plot their own location on a map! Its so satisfying, and it makes participants feel like a great explorer! 6. Triple check the first aid kit! We have all been guilty of throwing the first aid kit in for a trip after not using it for months. Big mistake! I have learned the hard way. Make sure its stocked before every trip with updated, appropriate supplies for the type of environment and activities. Also consider bringing someone trained in first aid. See our list of recommended certifications. Make sure participants know what to do and who to talk to in an emergency. Don’t forget to emphasize hygiene; hygiene, hygiene, hygiene. 7. Hydration education. This goes along with point number 1. Educate everyone on proper hydration and remind them frequently. Put water breaks on your schedule/itinerary. It is difficult to over hydrate in the outdoors – although not impossible. (read about hyponatremia) The first sign of dehydration is thirst, then headache. As stated in point 2, be prepared, especially with enough water or to gather more! Carry extra, bring filters and/or chemicals, and know ahead where sources are located. 8. Get fit. Staff fitness and health should be a priority. See this article. Participant fitness is key to a positive and safe experience. Encourage them to train ahead of outings if possible. Don’t be afraid to help participants choose an activity or outing that’s suits their fitness level. This may mean recommending they not go on a trip they initially wanted to. Keep in mind your group is only as strong as the weakest link. So base your goals on their abilities. Goals may need to be adjusted to fit the group. Remember to always warm up and stretch! 9. Cook to your skills. A 5-day backcountry trip is not the place to try all those new campfire recipes you saw online. Try those in your home or backyard first. Your participants will thank you. I prefer to keep meals as simple as possible especially if participants help cook. Whatever you cook, keep it reasonable. Remember to check for food allergies in point 2. Don’t forget to emphasize hygiene; hygiene, hygiene, hygiene. 10. Emergency plan. You really must have one. As in have one written down. All the staff should know what it contains. Participants should be instructed on what to do in likely emergency situations. Remember that it can take much longer for EMS to reach outdoor locations. A 20-minute hike down the trail could triple the time it takes them to arrive. Participants should understand this and know the risks. Teach them how you and they will contact EMS as phones likely won’t work. Always tell someone back home where you will be and when you’ll be back. And of course, pray!